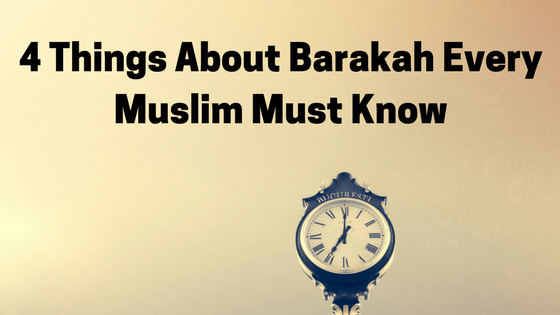 Barakah is one of those Islamic concepts that many people know of, but don’t know much about. In this short article, I will explain four important things every Muslim must know about Barakah. Barakah is often translated as Blessings in English. But that doesn’t tell us much about Barakah and what it actually is. Barakah can be defined as spiritual blessings in any thing. It is the phenomenon of getting more done with less, in a manner that defies logic. Barakah can occur in anything: money, time, family, work, results, dawah, writings, effects on others, food, and even life itself. A person who gets more done in a short 35 year lifespan than someone who lived 95 years had Barakah in his life. Simply put, Barakah can’t be explained in a single English word. So we should stick to using the Arabic word. It is a type of Karamat (miracle) that Allah can grant to any believer. 2. How to get Barakah? 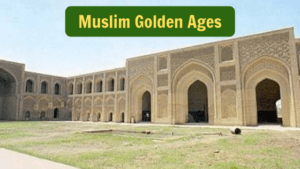 The above have led to Barakah for thousands of Muslims throughout history. And when done properly with sincerity can lead to Barakah for you and me too. A lesser known aspect about Barakah is what to do when you experience it. Based on authentic Hadiths, we can conclude that if someone experiences Barakah, they shouldn’t tell question it. Doing so may lead to the Barakah disappearing. In both of the above hadiths, the Barakah only ended when the individual questioned how it was happening by inspecting it. So if you experience Barakah, don’t question how it is happening. What should you do instead? Read on! The key to successful living is an attitude of gratitude. If you experience Barakah in anything, then express gratitude to Allah for it and don’t dwell on how it is happening. Accept it as a gift from Allah and try your best to use it in a way that is pleasing to Allah. The most basic way to show gratitude is to say Alhamdulillah (All Praise is for Allah) and to use it to earn Allah’s pleasure. But for really amazing occasions of Barakah, we should make Sajdah Shukr (prostration of gratitude). This is done by immediately going into Sajdah and thanking Allah for His Blessings on you. So there it is, four key points about Barakah that every Muslim must know. We end by asking Allah to put Barakah in this article, this website, these ebooks and all our efforts. Ameen! Want to learn more about Barakah? 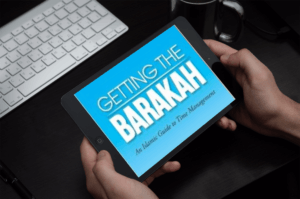 Read our bestselling ebook: Getting The Barakah! 1000s of readers were transformed by it, now it is your turn! Click the image below to purchase it! This is very interesting, especially the part of not questioning because even with everyday matters its often best not to analyze things.